Ask your librarian to order Diasporic Avant-Gardes! 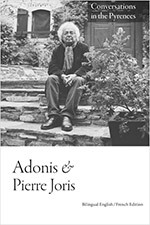 Diasporic Avant-Gardes draws into dialogue two differing traditions of poetic practice: the diasporic and the avant-garde. This interdisciplinary collection examines the unacknowledged affinities (and crucial differences) between avant-garde and diasporic formal strategies and social formations. The essays foreground the creation of experimental forms and investigate the specific contexts of cultural displacement and language use that inform their poetics. Carrie Noland is a Professor of French and Comparative Literature at the University of California, Irvine. She is the author of Poetry at Stake: Lyric Aesthetics and the Challenge of Technology and Agency and Embodiment: Performing Gestures/Producing Culture. Barrett Watten is a Professor of English at Wayne State University. He is a language-centered poet and critic of modernist and postmodern cultures and his study, The Constructivist Moment: From Material Text to Cultural Poetics, received the René Wellek Prize in 2004. He is the author of the poetry collections Frame: 1971-1990, Bad History, and Progress/Under Erasure.